Join FADP and EJUSA this Saturday, March 31 in Tallahassee as we unite our voices and take action to end the death penalty in Florida. 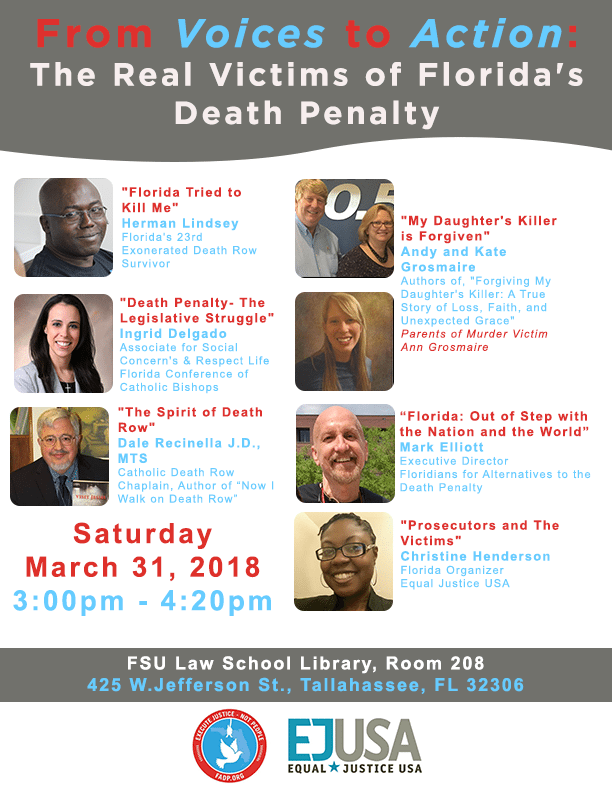 You’ll hear compelling stories from individuals directly impacted by Florida’s flawed death penalty system including Herman Lindsey, Florida’s 23rd exonerated Death Row Survivor and Andy and Kate Grosmaire, who through their faith, learned how to forgive their daughter’s killer. RSVP for Saturday’s event here.